Saturday was the 22nd of September, the fall equinox, and with it there has been a noticeable (and welcome) shift in conditions on the farm. The humidity is easing up, leaving the air a bit cooler and crisper, and the daylight hours are decreasing. Leafy greens having been relieved of the long, sunny days, are now perking up, filling out, and have a vibrant, healthy glow to them them. Eggplants and peppers boast a nice set of fruit, while tomato plants look less robust as they begin their decline with night time temperatures dipping in the low 50s. 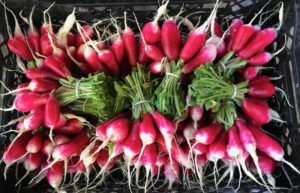 Carrots, radishes and turnips are coming in now (see French breakfast radishes left), and we are hopeful that we’ll see heads of cabbage and broccoli come around in a few weeks time. We’ll have what is likely a final picking of herbs, peas and flowers in the U-Pick area this week. Saturday also brought the annual Farm Aid festival the Xfinity theater in Hartford, the first time the festival has come to CT. 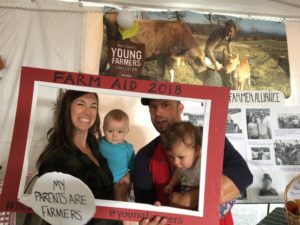 Though we didn’t get to see all the great music performances, Jacquie, Vivian and I did go to the event to speak about our experience farming, and the support and advocacy work done on behalf of new and young farmers by the National Young Farmers Coalition and the New CT Farmer Alliance. We have each been involved with these organizations for a number of years, as we know first hand the importance of new/young farmers helping each other, sharing resources, building communities, and making sure their voices are represented in local, state and federal policy planning. We had a great time talking with everyone who stopped in on our spot at the “Homegrown Village” and we are grateful to Farm Aid for coming to CT, to help shine a light on farming in CT and national farm issues. 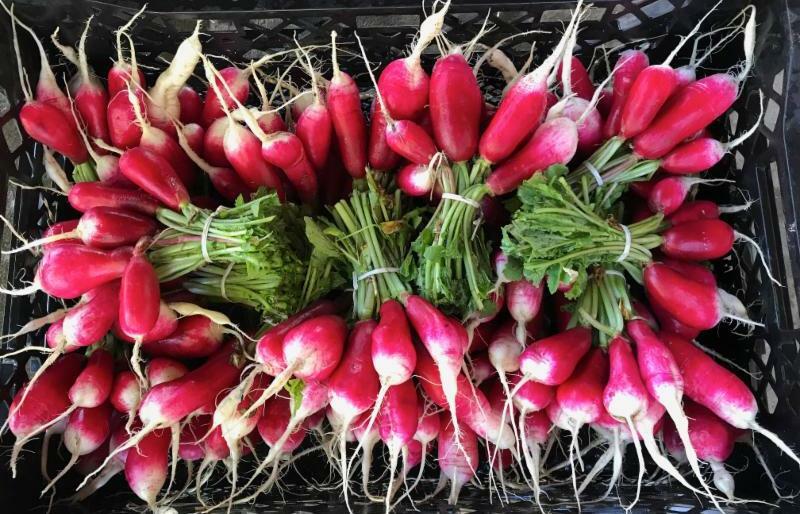 You can find out more about Farm Aid at their website, and read about Saturday’s festival in this article in the Hartford Courant.